The Polish manufacturer Albedo is known for several things. 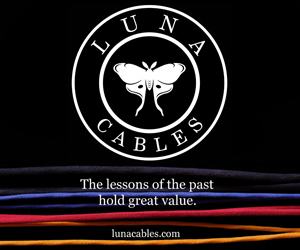 Audio cables from many different price ranges is the most apparent. 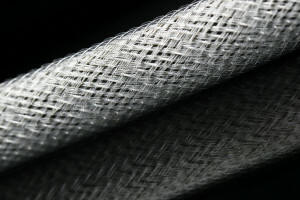 But silver as the core material used in production process comes in as second. 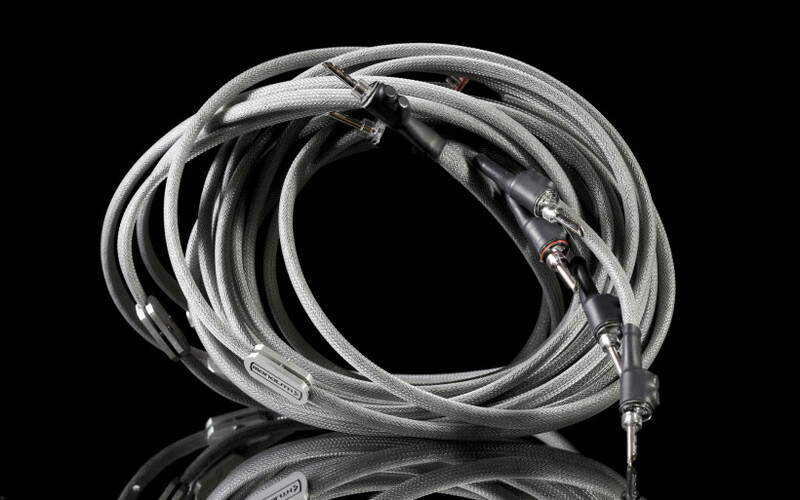 There’s a peculiar opinion in the web about the sonic contribution of this very metal in such products, though supposedly the Albedo cables sound different. 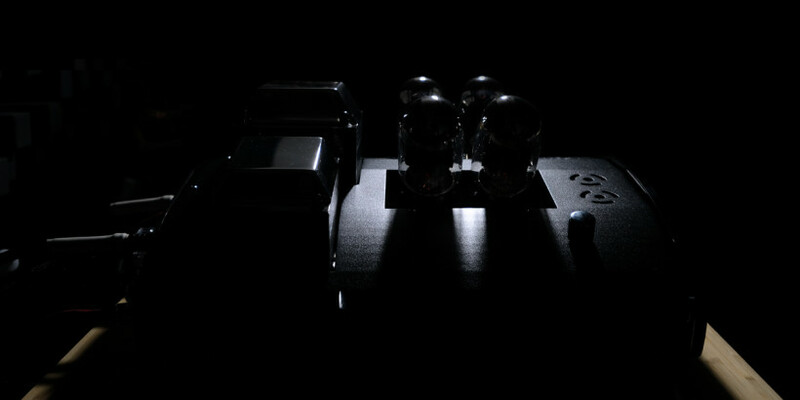 Contact with the manufacturer was established and two Albedo Monolith models delivered to my doorstep was the outcome. Enjoy. 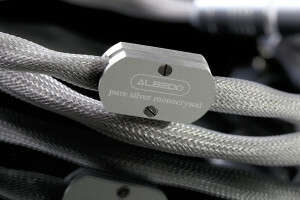 To some people, the Polish Albedo company is just another manufacturer known for silver audio cables. But there’s much more than that, it’s different in many ways. To understand why, some storytelling is in order. Said company’s main man is Grzegorz Gierszewski. He is the CEO, CTO and some other O’s too. No decision is made without his approval and most of these he handles personally. 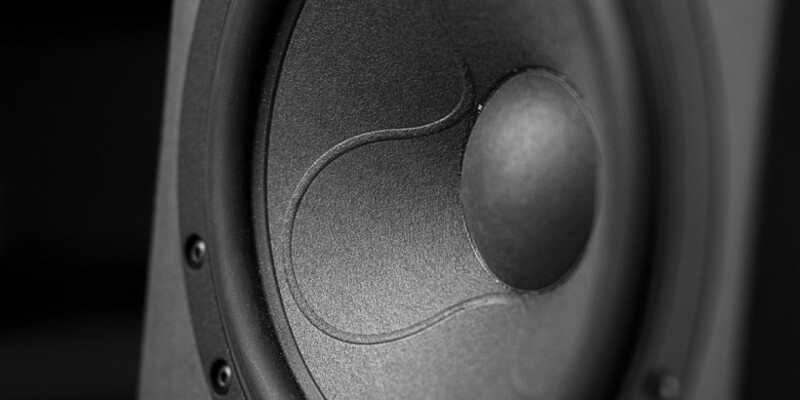 This might sound like a mild dictatorship, but that’s often the case with small audio manufacturers. Albedo fits this description after all. But what’s important is that after a chat with Grzegorz and his employees during the Warsaw and Munich exhibitions, it looked as though several close friends had a blast together each and every time. Grzegorz told me that his first contact with music and audio equipment was made when he was barely six years old. His uncle – an engineer by trade – introduced him to vinyl, amplifiers and speakers. The Bonanza soundtrack was the very first album our Albedo man heard. He obtained an education as a Jeweller, but something constantly pulled him towards music and audio equipment. It all started for good in 1989 for Grzegorz. Three years later he had an operational shop with both used and brand new audio devices. 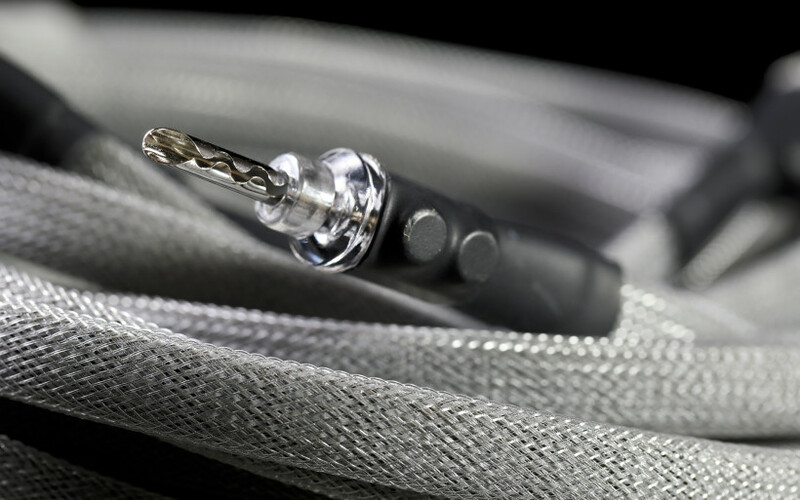 Thanks to Kimber KXCG, for the very first time he witnessed how significant a change silver audio cables can make. Back then, this product was awfully expensive. Grzegorz as a jeweller was curious about how is it possible that changes of this calibre are audible thanks to some silver wire with fancy plugs. 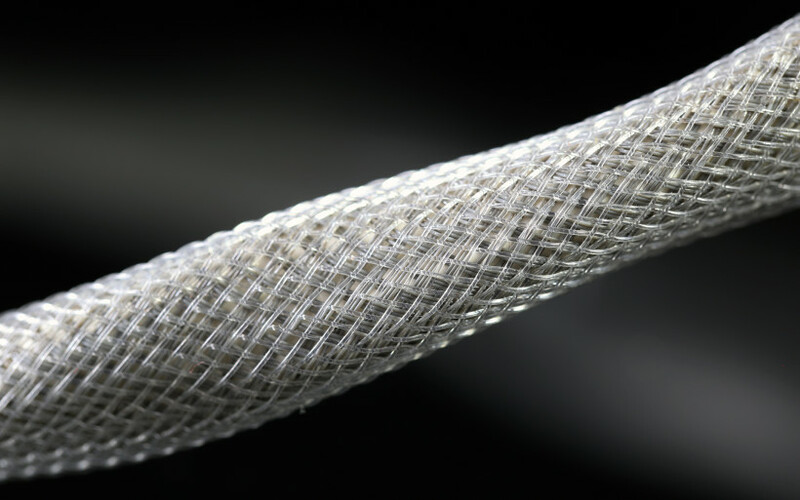 He tried to copy KXCG model for six months, the wire structure under translucent insulation was easily seen. This exercise led him nowhere sound-wise, the finished clone was much worse. Then, by trial and error Grzegorz tinkered with many factors of his original design and finally got something – as he puts it – decent enough. In 1994 he had a first prototype and two years later the Albedo company was established. He picked this particular naming because of Albedo 0.39 LP by Vangelis. Ain’t that a fancy influence to have? 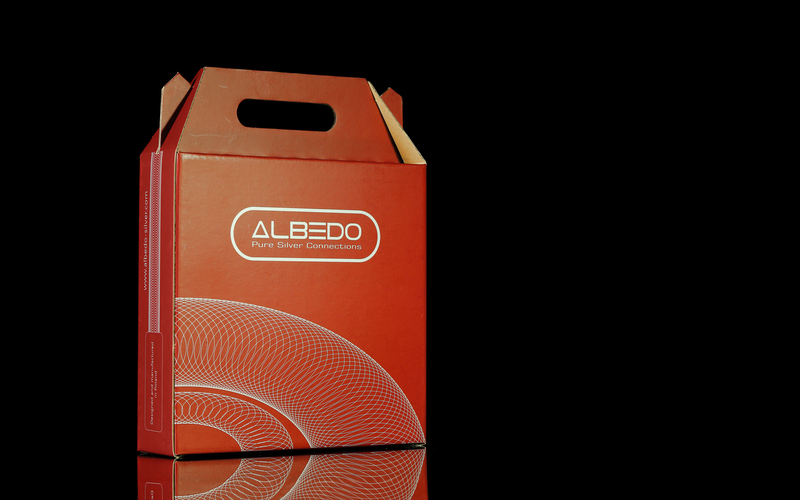 Albedo today is a well-established audio manufacturer with it’s HQ in Bydgoszcz city and distribution in nine countries in total. I’ve been told that additional three are in the works and it should happen rather soon. Quite a success thus far, but there are several factors that make Albedo very unique globally. Said company uses only high purity silver in its products. That’s nothing out of the ordinary so far. 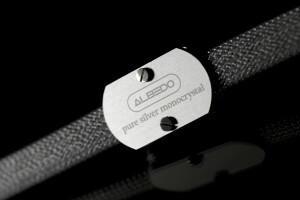 But the fact that all Albedo products are in 100% in-house made is something to behold. Still no surprise? Well, let me clarify what said percentage actually means. There are only a few factories specialized in silver and copper wires of 6N grade or higher on our planet. Many manufacturers exploit that by obvious purchases from these places directly. 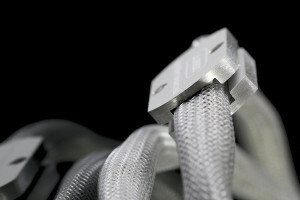 Then the wire is applied as the cable-tinkerers see fit. Grzegorz went in a quite different direction, he has his own furnace. He doesn’t buy pre-made wire spools, he rolls the silver wiring he makes personally. He doesn’t buy semi-products, he doesn’t have to. I’m not sure whether there are two, three or more manufacturers similar to Albedo in this regard. Yet I don’t think that in Europe said number is much higher, if at all. At the same time I’m not in the position to evaluate whether turning silver/copper granulate into wire in an in-house environment is better than purchase it from the factory directly. You be the judge. But what I am aware of is that a furnace capable of said task is a very huge investment, hundreds of thousands of Euros. Big numbers. This fact alone indicates that Grzegorz is very dedicated to what he does for a living. On top of that, Grzegorz owns three custom made crystallizers, each with a different profile and diameter. 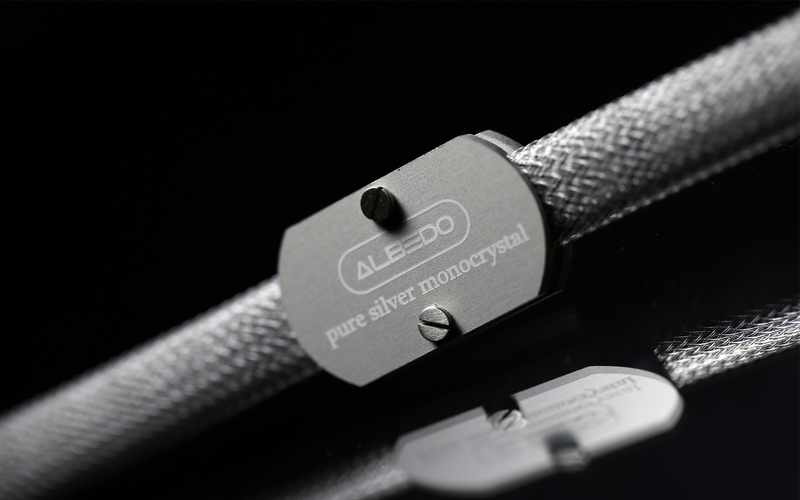 He was confident that Albedo company is the only one in Europe with these designed to turn silver batch into flat or round cross-section wire. Let me explain how it works. Usually silver or copper slabs are rolled and drafted after going into solid state. Said tooling has to be done in order to obtain material with the correct diameter and shape across the board, which is then applied in the product. 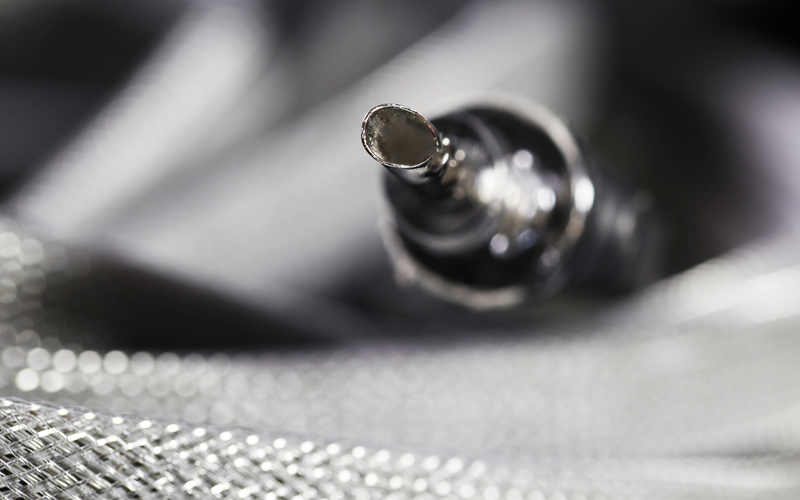 The Crystallizer works differently, it’s in fact an integral part of a furnace, responsible for morphing liquid silver into solid rod, which is then delivered to a mechanical profiling tool. 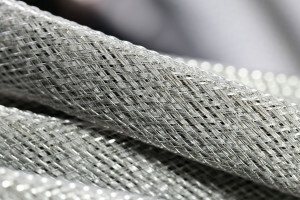 Monocrystalline and ready to be used silver wire with desired shape and measurements is the visible outcome, be it the aforementioned flat ribbon or a 3mm thick wire. Argon is used during the melting stage, hence the material gains it’s OFC properties. To put it even simpler words, thanks to the crystallizers, in Albedo company rolling and drafting process is bypassed. That’s how Grzegorz handles silver, this is his path. It’s also worth knowing that he has it all figured out based on extensive tests. He is in fact equipped with different audio devices to much greater degree than many audio journalists, obviously knows what he does and his actions surely aren’t random. When I hear mainly technical aspects and zero marketing talk, there’s no reason to not take the Albedo man seriously. 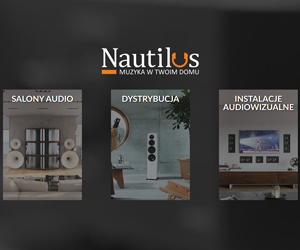 Besides, Grzegorz is also the owner of Audio-Connect distribution company. 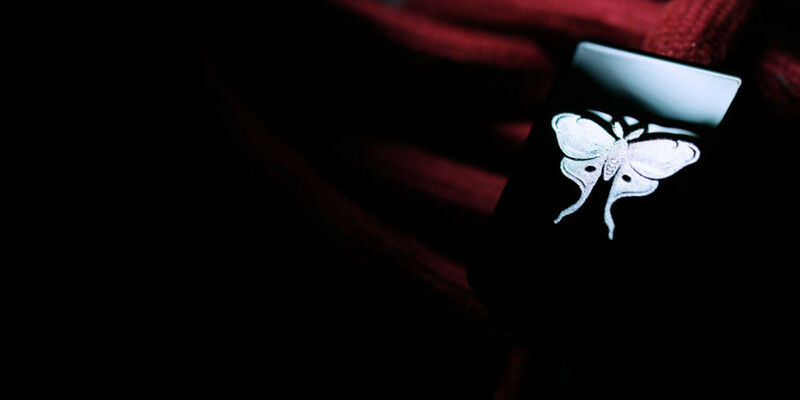 Under its wings there are Aqua Acoustic Quality, Wells Audio and Diapason brands to name a few. He obviously favours vividness and density over surgical precision and hollowness. We’re alike in this regard. It is often said that silver takes music away and brings speed and accuracy to the table, but some questions are in order. 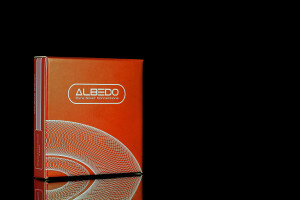 Are Albedo products supposed to be of fast, thin and edgy nature sound wise and therefore act as complementary solutions for dense devices, which obviously are a part of Audio-Connect portfolio? 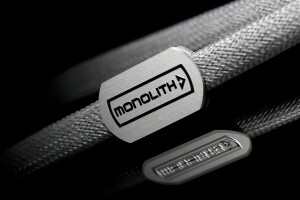 Is Monolith loom a typical silvery case to begin with? Maybe because of rather unique manufacturing process, the outcome with it in the chain is different? 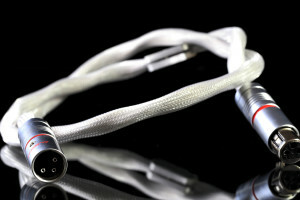 In spite of what’s already known about silver cables? We have more than just one mystery that begs to be solved. Let’s get on with it then. Bon appétit. 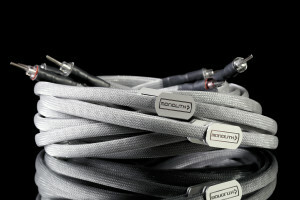 Grzegorz sent me two of his products, a pair of Monolith XLR interconnects of 1 m length and two pairs of 2,5 m speaker cables from the same family. Let me clarify what said two pairs in the latter’s case actually mean. 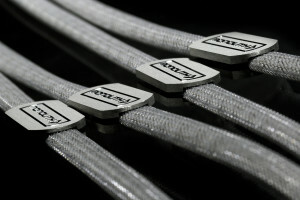 Not too long ago, the Monolith speaker cable set consisted of a pair of cables, each of these had two ribbons connected via one aluminium buckle. Now these are completely separated, each has aforementioned aluminium addition and four cables have to be managed instead of two. Some of you might consider this as a slight quality of life improvement/decrease. Pick your scenario. But realistically and visually, not that much has changed. On the contrary to the main material in both delivered products. Now silver is monocrystalline and electrolytically purified. According to Grzegorz, these changes are the reason of audible progress. Neither have I heard or compared his previous Monolith creations, hence I can’t say if this is true or not. But for the sake of the facts, going monocrystalline all the way is the most recent and major change in the Albedo camp. 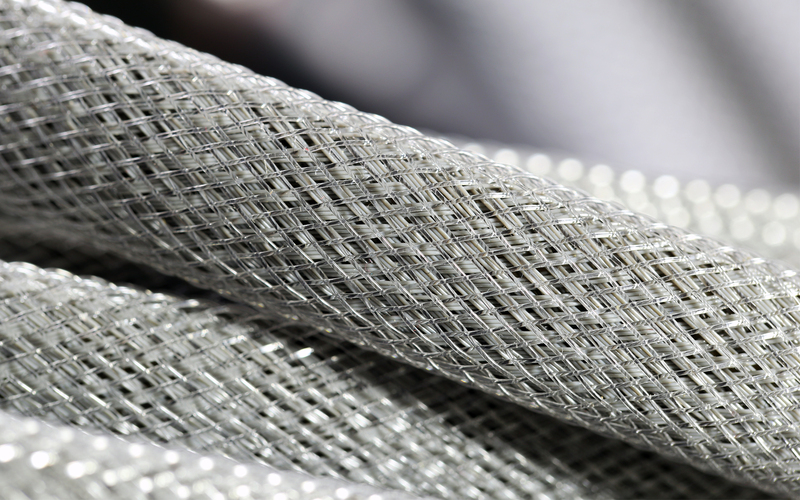 In the near future most models will be made out of monocrystalline silver, including flagship Metamorphosis loom. The Albedo family looks coherent visually. 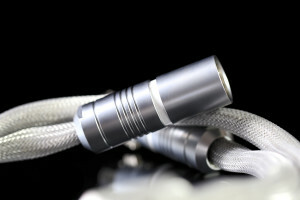 Silver/gray is the main colour, easily seen on outer braiding, aluminium pieces and connectors. The unseen difference between XLR’s and the speaker cables is in the wire in terms of its cross-section measurements and treatment. Presumably several round strands aligned in unknown geometry are placed in the former, whereas the latter is based on silver ribbons. Behold crystallizing options. 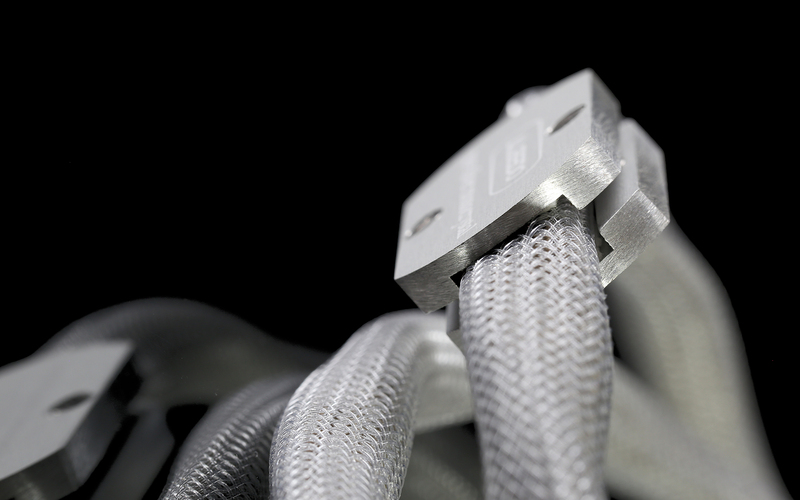 Both products share antistatic air insulation and polyethylene alike outer braiding, the same story goes with aluminium buckles. 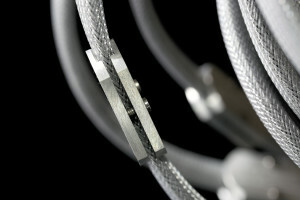 Each consists of two plates with cable betwixt, which are then put together via two nice screws. 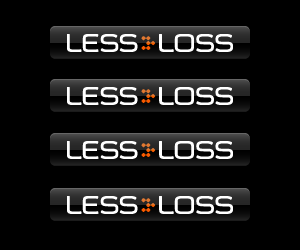 The naming of both the series and the company is seen as well. Since Monolith products are directional, subtle arrows indicate in which way the signal should flow. 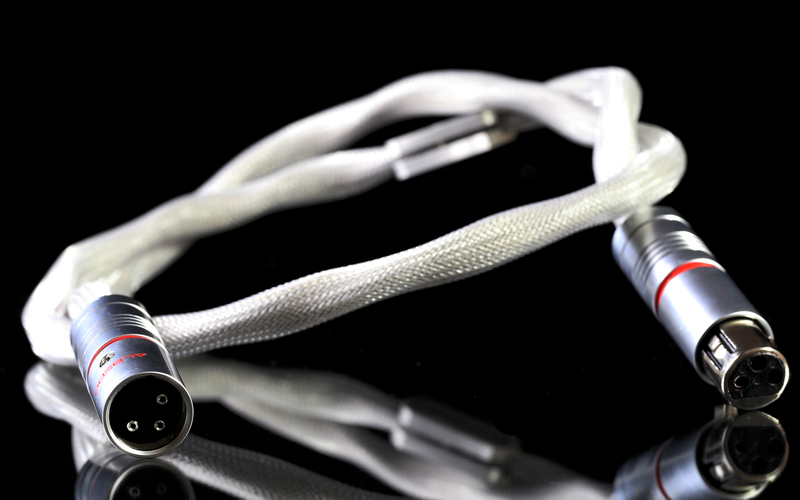 Monolith speaker cables can be ordered with rhodium-plated beryllium copper banana plugs or spades, whereas XLR model gets impressively decent plugs with hollow pins made out of the same material. Lastly, there’s a big difference between both models in terms of ease of use. 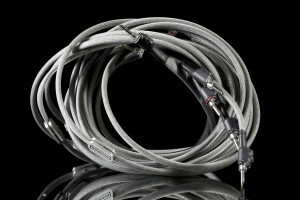 With limited room behind connected devices, Albedo XLR is stiff and somewhat quirky, mildly forceful bending is in order in such case. The product is fairly light though, so in the end that’s not much of an issue. 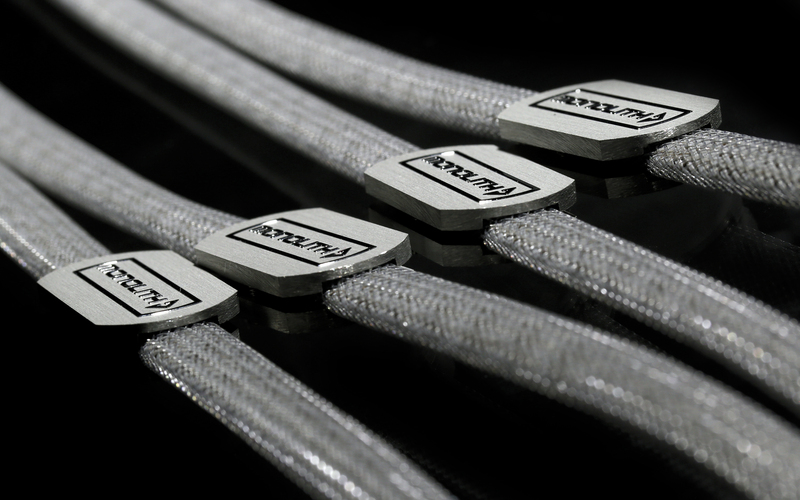 On the contrary to speaker cables, these are as flexible as it gets. Though it’s worth to pay extra attention to where one steps while wandering around a setup. Silver ribbons inside don’t take feet treatment easily. In order to do the job in the proper fashion, several things had to be done. Two pairs of speakers and two amplifiers were used. 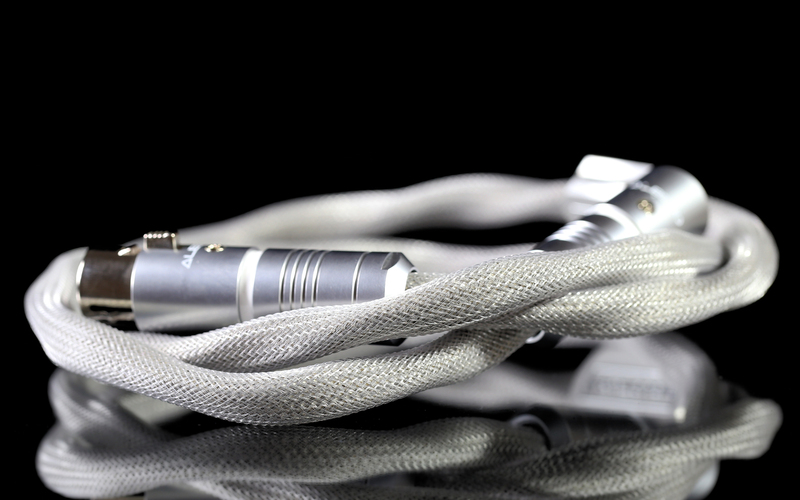 Monolith XLR cable was compared to my own DIY rival, which consists of eight UPOCC 7N cryo-treated copper wires in total (per channel), terminated with Furutech F-701m plugs. This skirmish was done in the primary setup only; the connection between laptop with Foobar2000 driven Lampizator Golden Gate and Trilogy 925 is fully balanced. After that comparison, speaker wires were changed back and forth. 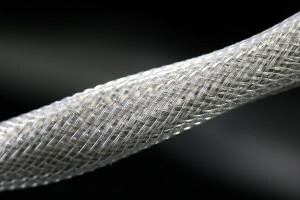 Albedo product’s rival was Phy-Hp solid core copper wire. Then the speakers switched places, Xavian Perla monitors appeared instead of Boenicke Audio W8. Next, Sanders Sound Systems Magtech and preamplifier form the same company were used instead of Trilogy 925. Here’s the full story. With Monolith XLR-s it was rather hard to predict what will happen in the big rig at first. But wishful thinking was obvious. Boenicke W8 are quite balanced performers in terms of tonal balance and density. Hence no liposuction is needed, but this was one of probable scenarios. More than audible changes kicked in quickly, after two or three switches. These were of greatly different nature than expected. Albedo product injected additional yet mild amount of airiness into music and this was somewhat expected. What came next was an improvement in smoothness, especially in the higher frequencies. “Gambling House Massacre” track from the Zatoichi movie showed more pleasant highs with better decay, yet without dimming them down and that’s merely one example out of many. Undoubtedly this was a quality improvement. It was noticeable that the soundstage got cleaner, and the so-called background became squeaky clean, without any grain at all. My DIY XLR interconnect got the job done decently in this regard, yet this time two different products were compared quality wise. And there was one obvious winner. it didn’t bring the listener closer to the music. It simply sounded more raw and that’s the takeaway. 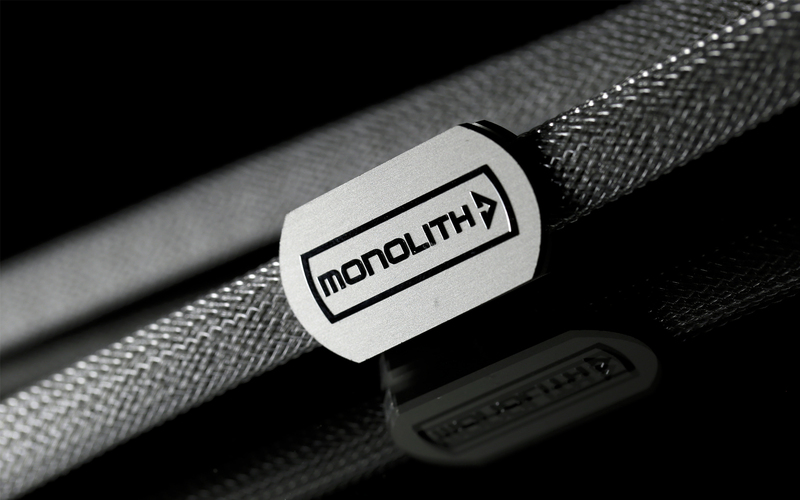 Getting back to the Monolith XLR interconnect, it surprisingly increased density of certain instruments, i.e. mandolin. I’m not sure whether said performer’s cleaner and therefore more revealing background has something to do with it. Perhaps to some degree that’s the case, and some instruments served in gutsier way are the audible upshot. But the fact is that it’s audible and very pleasant at that. When things are of more present and less airy nature in this journalist’s big rig, that’s plainly good turn of events. And lastly, Albedo Monolith XLR painted the picture not only wider, but it also put things in greater order between the speakers. In comparison, my DIY XLR interconnect focuses heavily on what’s directly in front of the listener, which naturally leads to further directness increase. Usually that’s a matter of taste. But the Albedo product, in spite of having a less sketchy nature, not only as equally effortlessly showed all instruments in the virtual space, but also presented them in more tangible and superbly separated way. In the very beginning, factors other than density and tonal balance shifts weren’t taken into serious consideration. But it turned out that when pinpointing time came, the wheels turned in completely different direction. 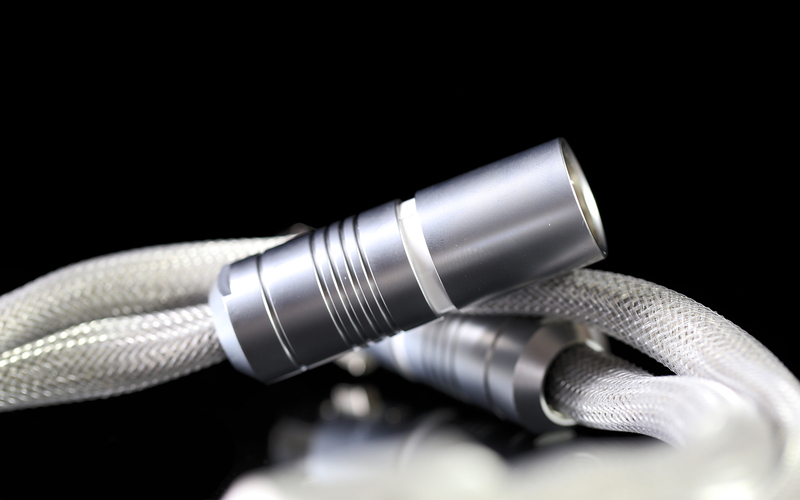 The most important thing is that Albedo Monolith XLR doesn’t tinker with aforementioned aspects, it doesn’t shift the outcome towards sparkly highs or with bass lighter-than-usual. Not at all. This might come as a surprise to many people, yet my experience with the Polish product doesn’t allow me to write anything else. The setup with said cable on-board sounds simply right in these regards. But the amount of air, sound-stage, smoothness, clean and slightly soft presentation are its real strengths. And because of these it triumphs over the DIY product I’ve used. 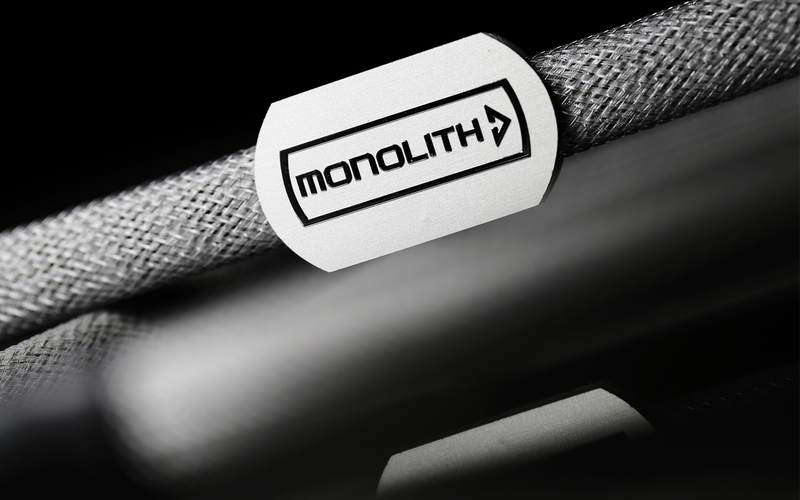 Monolith XLR doesn’t take anything in exchange for its key traits and isn’t showy at all. It doesn’t change the music but makes it much more coherent and smooth and therefore very pleasant in the end. It grows on the listener. Subjectively I get lots of joy out of my own XLR set. 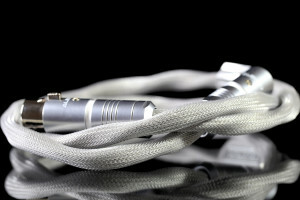 But it’s rather undeniable that it performs like it’s far from finished, it simply isn’t as mature as the Albedo XLR. It’s a pity that this time around there was no chance to find out how the Monolith RCA would perform in different setups, i.e. with the FirstWatt F7. But it is what it is, perhaps in near future something can be done about it. 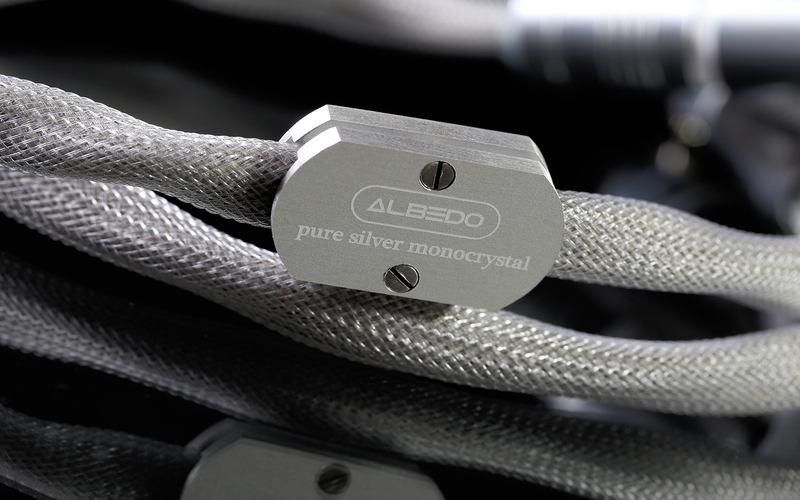 So, the Albedo Monolith XLR matter was done, it was high time to find out what another silvery addition brings to the table. Speaker cables were the main dish this time around. In short, the same scenario happened once more, yet to a greater extent. 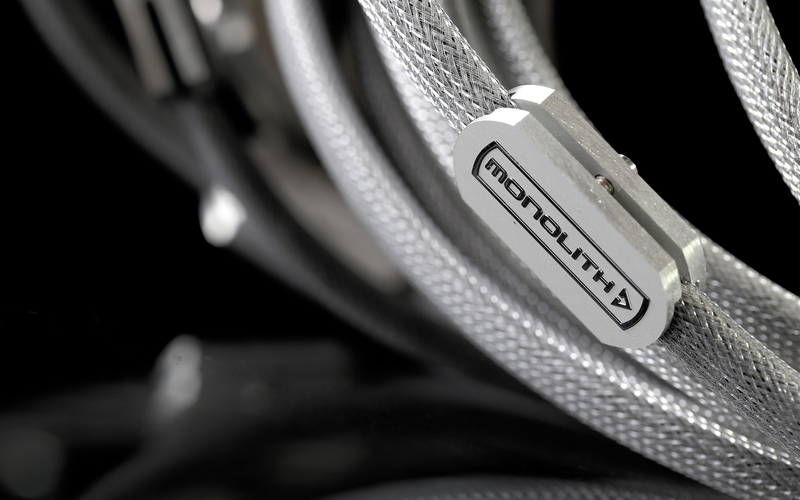 After switching Phy-Hp cable to Monolith, things were similarly calm and round, yet slightly less dense. 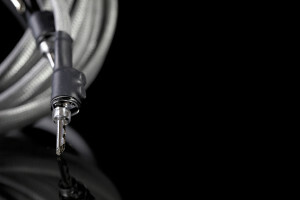 Make no mistake here, Albedo speaker cables are thick to a degree, though the competitor has this aspect even more pronounced, especially in lowest parts of audible FR and in the end is audibly fuzzier overall. In this regard in particular, it was a matter of taste. Moving on, the sound-stage got wider and less focused on what’s between Swiss W8 floorstanders. It also gained some additional dose of air. By that I mean the picture became bigger yet as well organized and precise, but virtually grainless. Subjectively that surely was dandy. Déjà vu anyone? 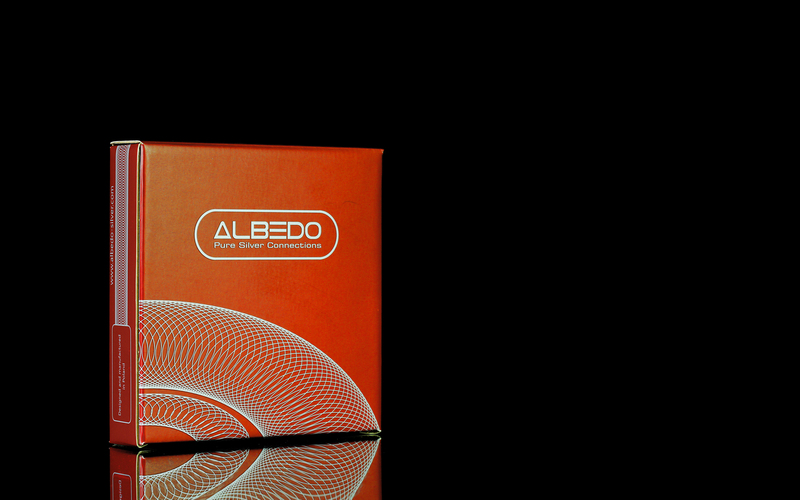 After this experiment it was undeniable that both Albedo products influence the sound in similar ways. That’s not a coincidence, at least I don’t think so. It was high time to perform an act of family separation, silver XLR’s were put to rest for a while, DIY XLR project jumped on-board instead. It was done on purpose, to reassure myself that initial observations regarding the Polish speaker cables were correct. After this change, things got instantly stiffer and edgier, whereas the space between instruments decreased. The sound was feistier and more direct, yet less music was in the music, as we say in Poland. Every change thus far was logical, which was very good from my journalistic perspective. In the end it’s worth knowing that the Albedo speaker cables input was even more audible than the XLR’s from the same manufacturer, which was also quite predictable. After establishing what’s what, the last thing to do was to find out where Albedo speaker wires fit the most. Sadly the XLR’s had to go as the main setup was the only one where these could be used. 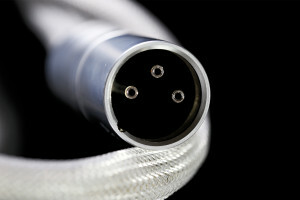 Speaker cables were what’s left, though at this point it was already known what the Monolith interconnects can bring to the table. Xavian Perla monitors were connected to the big rig. At first I thought that if somewhere Monolith speaker cables won’t fit, that’s the place. The reason is simple, though. Said speakers are already dense and midrange focused, additional air and speed input is highly valued in this Czech case. 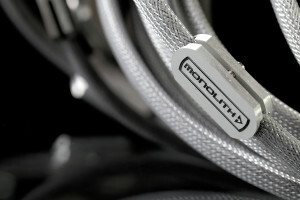 The Monolith performed much better than Phy-HP cable. The sound was smoother, cleaner and wider, though a bit thinner. Yet the Perlas greatly benefitted from it. In the end, this combination was much more enjoyable. Perhaps not yet optimal, additional air and openness could do even greater magic. My guess is that thin and fast cables would be a perfect fit here. But the gist is that Monolith brought less of its own nature to the table and therefore was a better fit than Phy-Hp, merely it delivered it’s finishing touches, the aforementioned smoothness and things of this sort. 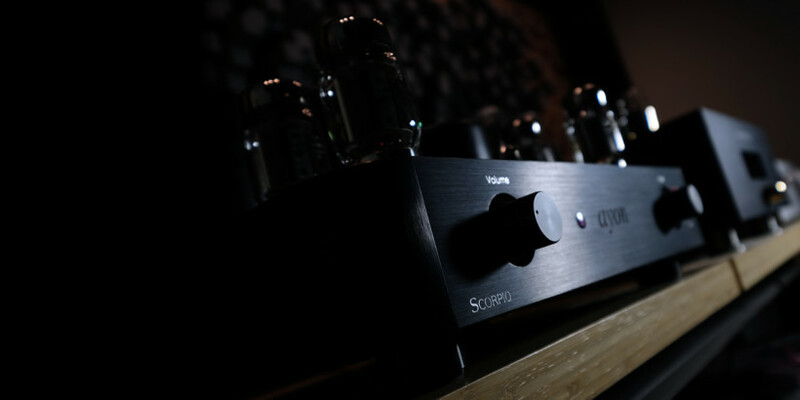 Next, Sanders Sound Systems Magtech and preamplifier combo took the place of the Trilogy 925. This two-piece set is faster albeit thinner in comparison. 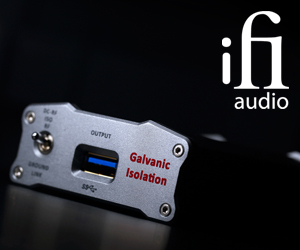 With the LampizatOr Golden Gate it showed more clearly what was the input of the source and speakers. It was a matter of taste above all else. 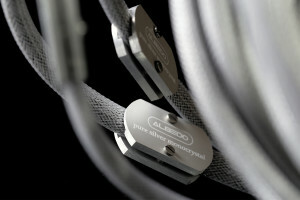 The Albedo Monolith speaker cables did their usual things, whereas Phy-Hp made the sound bulkier. Both scenarios were very good with Perlas, but subjectively some magic was gone in the latter. The trade-off was too big, additional density in exchange for silkiness and wider soundstage was a no-go in this journalist’s case. YMMV though. Next, the Boenicke W8 returned to their legitimate place and the same cable scenario happened with these again. It was a matter of whether bigger and cleaner sound-stage was in order, or elevated body mass. 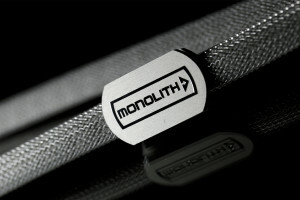 For me the choice was obvious again and Monolith was my pick of the day. If someone asks why FirstWatt F7 wasn’t used this time around, the reason is simple. It doesn’t do justice to the W8 as above mild volume level the sound becomes too wobbly. And Nelson’s marvel, already thick on its own, is an overkill in that regard to the Czech speakers. Lastly, the English 925 integrated was used with the Swiss W8 model, but this time with both Monolith products. 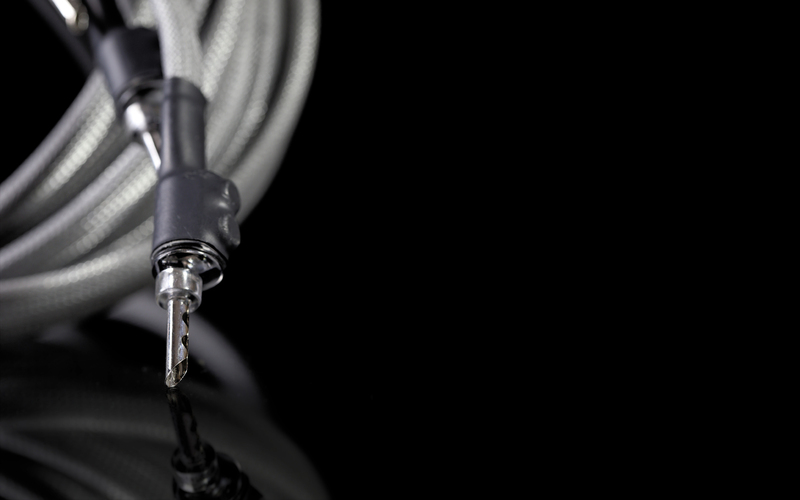 One thing was certain as death and taxes, the Polish speaker cable turned out to be the only viable choice again. But occasionally, when I was in right mood to turn the volume knob a bit further to the right, my DIY XLR-s were on. Although a major trade-offs take place in such scenario, sometimes this journalist simply wants to rock harder and additional speed plays huge role at that particular time. 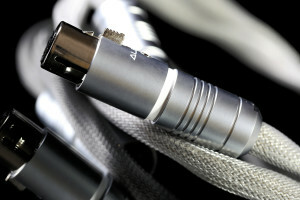 But this XLR’s switch happened rather rarely and in vast majority of cases Monolith XLR remained in use. Almost constantly in fact. So in the end, to answer the question how this Polish cable family sounds, I’d say that it’s slightly round yet still neutral, it doesn’t influence the audible outcome in terms of tonality or density, therefore wasn’t designed to light things up or to make them gutsier. The changes it does are of greatly different nature. Soft, smooth, squeaky clean and properly orderly touches are the audible inputs, transparency seals the deal. These factors combined together deliver a generous amount of refinement, easily noticeable no matter the scenario. It’s worth pointing out again that Albedo loom isn’t targeted to make the outcome faster as it brings a mild amount of politeness to the table. Whether one is after additions of this sort, that’s obviously an individual matter. What an unexpected, pleasant and succesful adventure this was! The sound description in particular might come as a rather big surprise to some people, especially after what’s said about silver in our hobby. 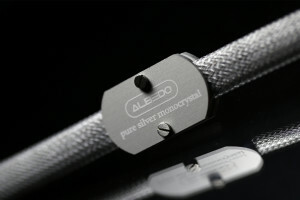 But the gist is that this review’s main dish – the Albedo loom – doesn’t sound fast, thin and sparkly. It honestly doesn’t, simple as that. To some degree things are the other way around in fact. 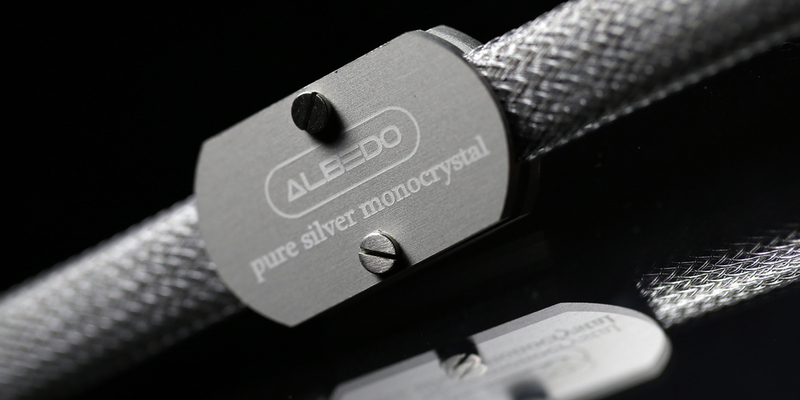 The Albedo products don’t provide repairing service, extensive polishing and refining happens instead. Finishing touches are their speciality and the outcome is fatigue-free above all else. 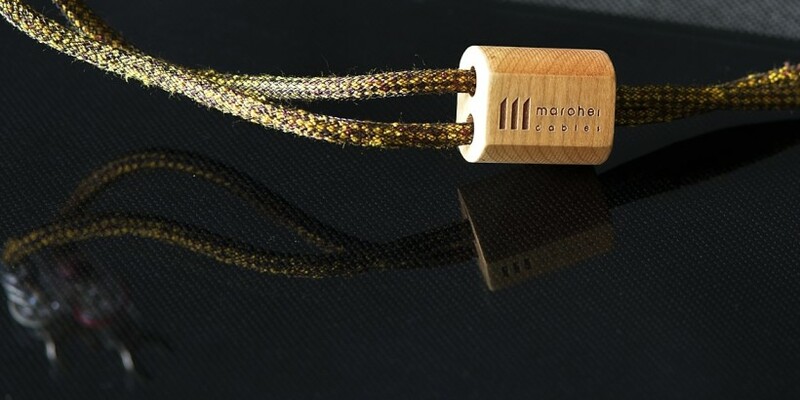 Monolith presence was easily audible no matter the scenario and the impact said cables had on the sound was of the same sort each and every time. 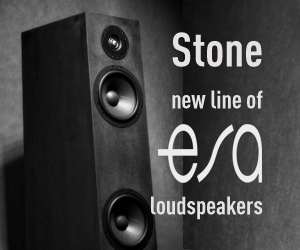 Thanks to their inherently transparent and not overbearing but inherently mild nature, these are quite universal sound-wise. It’s hard to shake off the feeling that Grzegorz Gierszewski is a visionary man and a specific outcome is something he aimed for from the very beginning. It seems that there’s no room for randomness in his work. After Albedo experience described above, it’s safe to say that in said gent’s case the expertise, craftsmanship and consequence are on a pedestal. Now, after the answers to all questions asked in this review’s first chapter are already known, what’s left is build quality and the price-performance ratio. 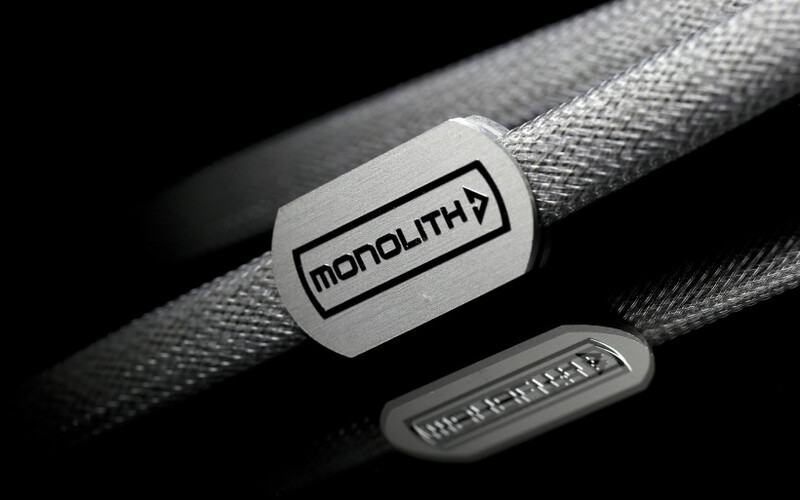 The Monolith loom is aesthetically and decently made, visually quite appealing. CNC-machined aluminium buckles attached to outer braiding are of high quality, the same story goes with the rest. Mr Gierszewski surely pays attention to details. 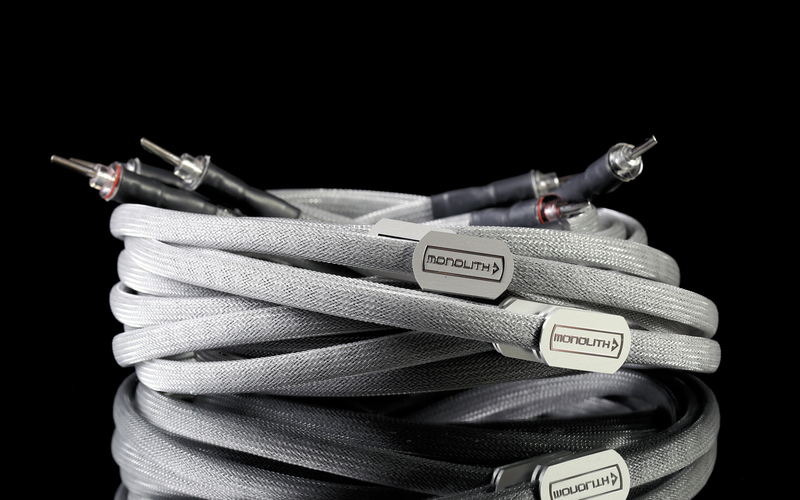 Monolith XLR’s, albeit stiff and somewhat harder to use in limited space, are very robust, especially the plugs. 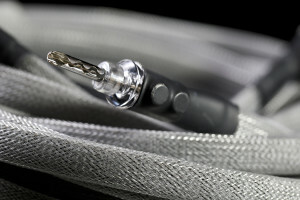 Ribbon-shaped speaker cables seem to be rather fragile, but are exceptionally flexible, therefore very easy to use. After dozens of switches back and forth I encountered no issues either with these or XLR’s. To summarize, Albedo Monolith loom left me with the impression of a job very well-done. The pricing of these items I consider as highly realistic. 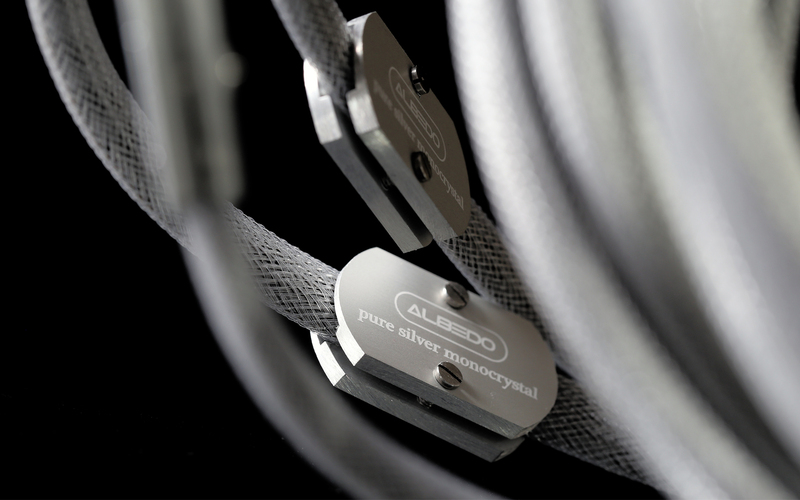 If one is after smooth, transparent, coherent and spaciously sounding cables with a tint of roundness, yet designed to be able to flesh out the quality of setup used and free from tonal balance or/and density shifts, Albedo Monolith surely are the ones to go after. ‘Till next time.